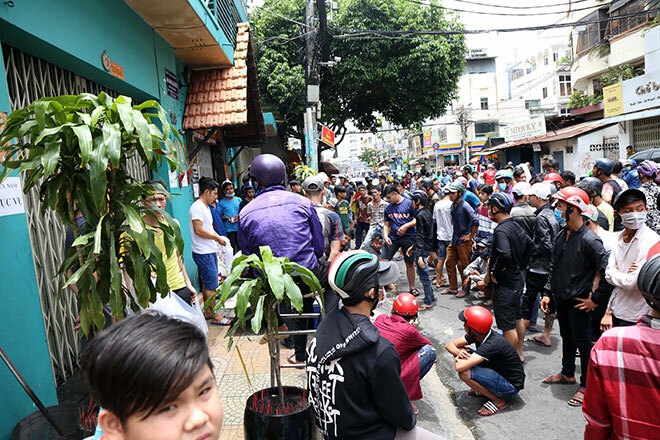 Hundreds of people gathered on Sunday around the Cho Lon area in Ho Chi Minh City’s District 5 to collect money thrown out by local families during the Amnesty of Unquiet Spirits Festival. 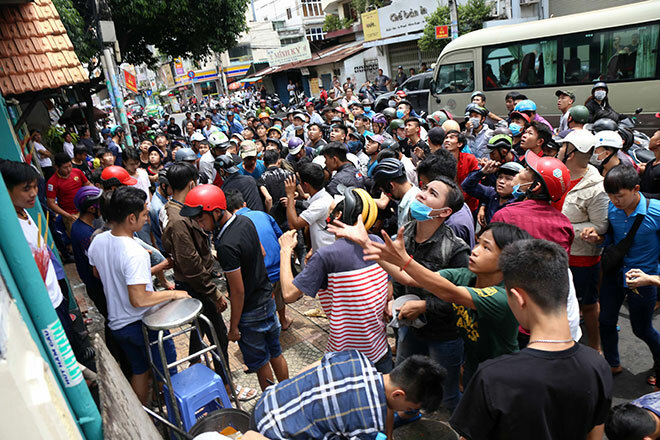 Amnesty of Unquiet Spirits Festival is widely-celebrated in Vietnam but more popular in the southern region on the 15th day of the seventh lunar month, which fell on August 26 this year. 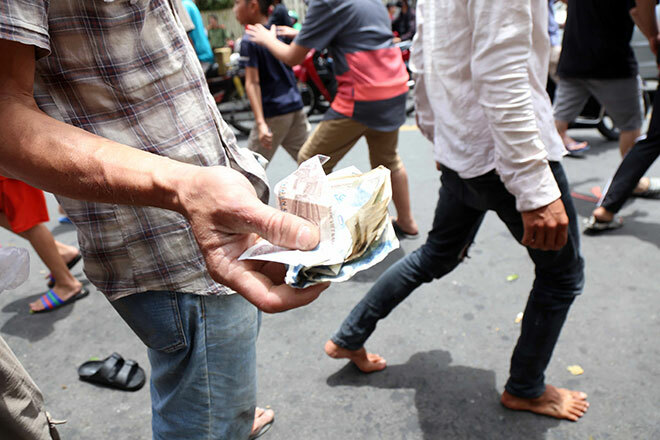 On this day, souls are believed to return to their former homes while those homeless often wander around, so local people usually prepare offerings to their ancestors at home and then throw out money, rice, and salt to offer the wandering souls. 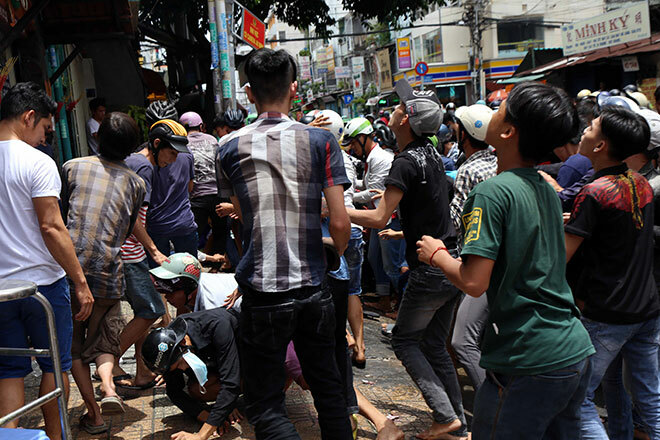 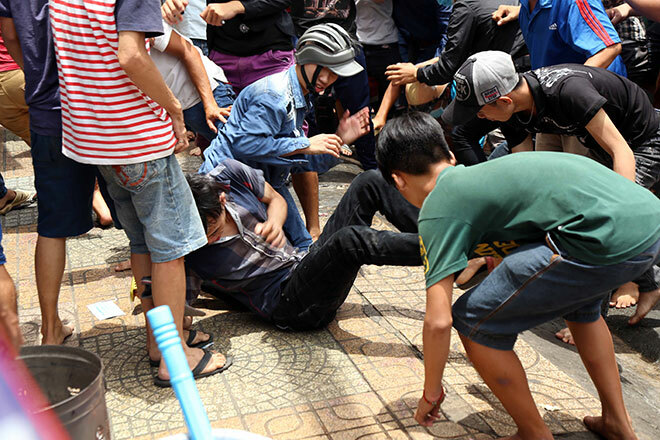 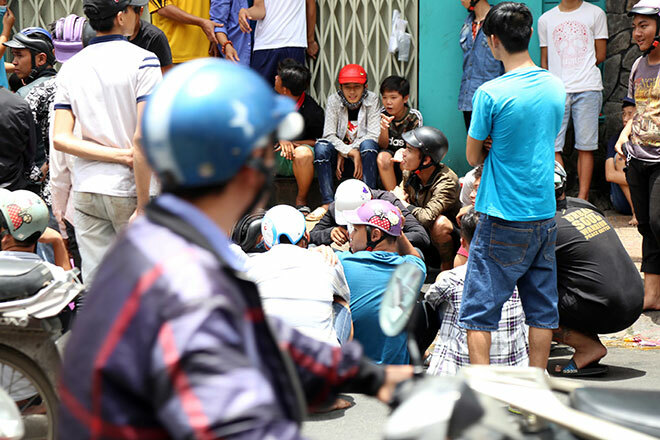 On the afternoon of August 26, several families on Nguyen Bieu Street in District 5 held the festival and threw money out, which caused chaos when hundreds of people gathered to collect the money. 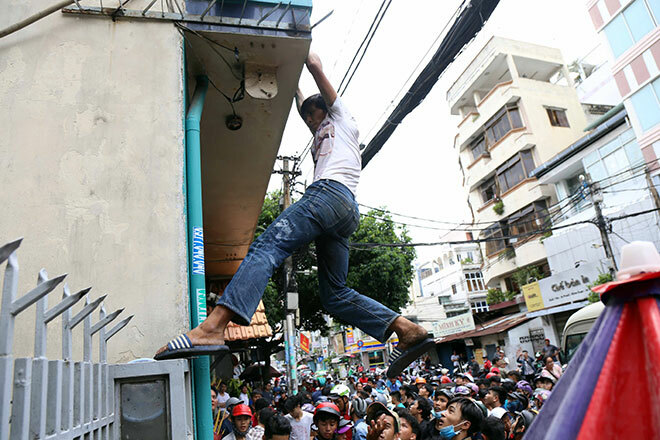 As anticipated of the offerings, many people prepared nets and boxes attached to long canes to collect the small notes thrown down from the balconies. 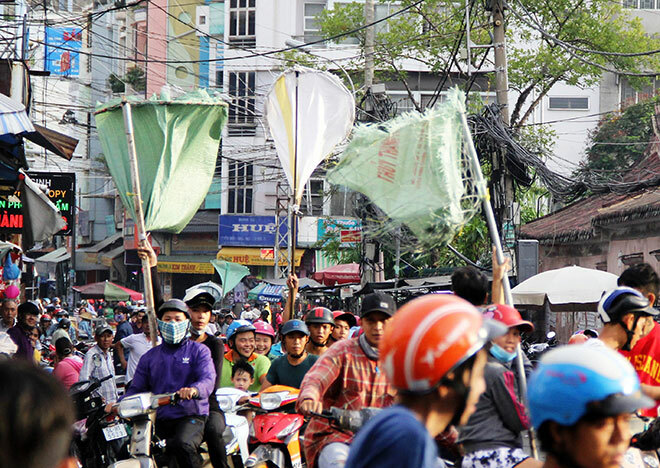 This is a familiar scene during this festival here so many families stopped throwing out money this year to avoid chaos around their homes. 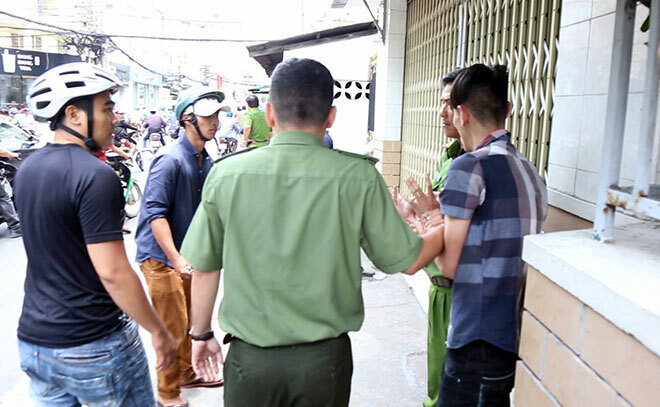 In this photo a man got only VND20,000 (USD0.8) after 15 minutes.